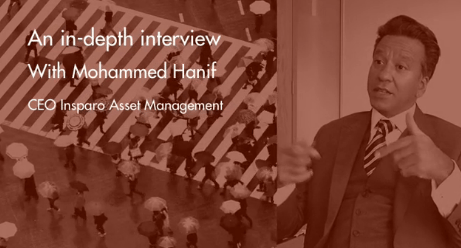 Mohammed Hanif is the Chief Investment Officer of Insparo Asset Management. He founded Insparo in 2007 as a multi-asset firm, focused on frontier markets around the world. Frontera’s Baldwin Berges sat down with Mohammed at Insparo’s London offices for a detailed conversation on his current worldview, and how his formative years in Pakistan shaped him for a career in frontier markets investing. Watch below to find out Mohammed’s current risk assessment on investing in high growth markets, his outlook for emerging markets in 2016, and a broad range of other issues. Frontera Television is an on-demand, subscription service that offers exclusive insights from the world’s leading emerging market investment professionals. We aim to create a revolution in the way investors educate themselves on emerging markets with cutting edge analysis from the investment industry’s leading experts. Previous articleYes, Myanmar’s Elections Are Complete. Now What?